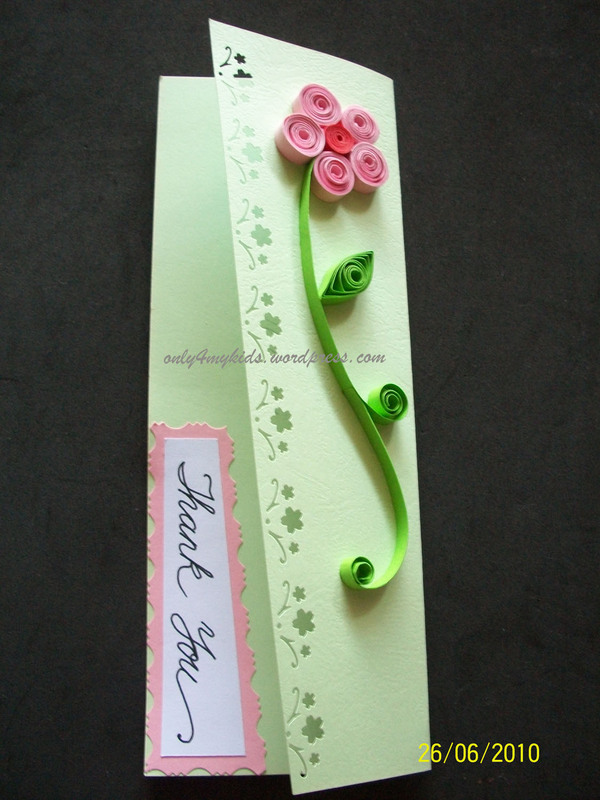 i did promised myself to make a thank you card for my daughter’s teachers. still carried away with the quilling and get addicted to it. 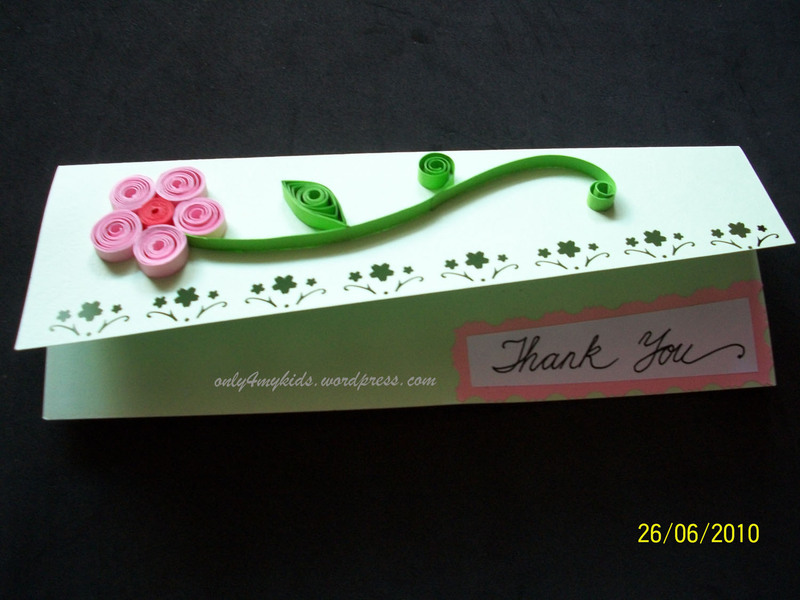 i was quilling while watching television… together with my daughter. she still doesn’t have the idea to whom i’m making the card for. i did not tell the results to her yet… i discussed with my hubby and we agreed to let her discover the results herself at school.